Samantha Hoppert is a transfer senior double majoring in media studies and professional writing, with a double minor in marketing and visual communications. This is her fourth semester working on the Exponent staff, but her second semester serving as a Managing Editor. Her Exponent goal this year is to get one of her stories published by a well-credited newspaper. Samantha’s favorite part of being on the Exponent staff is that she gets to meet a wide variety of people and make connections in the process. She also likes the fact that working for the Exponent gives her the chance to improve both her writing and layout skills. 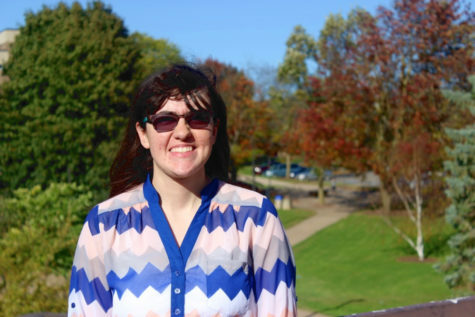 Besides working on the Exponent, Samantha is a member of the Sigma Tau Delta English Honor Society, National Society of Leadership and Success, as well as the American Marketing Association. In five years, Samantha sees herself living in California and working for an entertainment magazine either as a writer or within the public relations/marketing department.